When the Jazzmandu music festival was first held in Kathmandu in 2002, very few in Nepal had heard of jazz. The annual festival turns 16 this year, and will once again entertain music lovers between the Dasain and Tihar festivals. 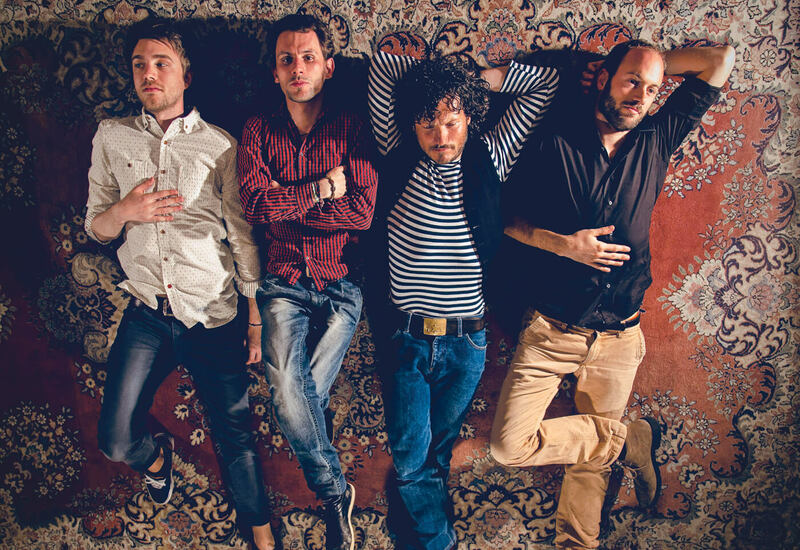 This year, six international bands will be performing in various venues across Kathmandu from 1-6 November: DACH, Nick’s Cousins, Groove Gang, Adrien Brandeis Quintet, Eduardo Mendonca, and Cynthia Abraham. 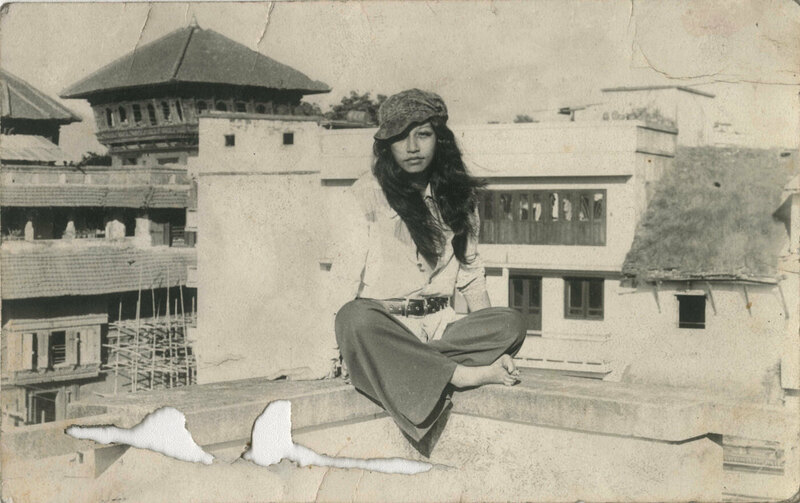 Jazzmandu put Nepal on the world jazz map, and brought jazz to Nepalis. While there were only a handful of jazz musicians 16 years ago, youngsters queue up to learn it at the Kathmandu Jazz Conservatory today. Like jazz music elsewhere, Nepali jazz also has a distinctive identity. Indeed, Nepali jazz has many elements from traditional and folk Nepali music, from instruments to melodies, making Nepali jazz unique. 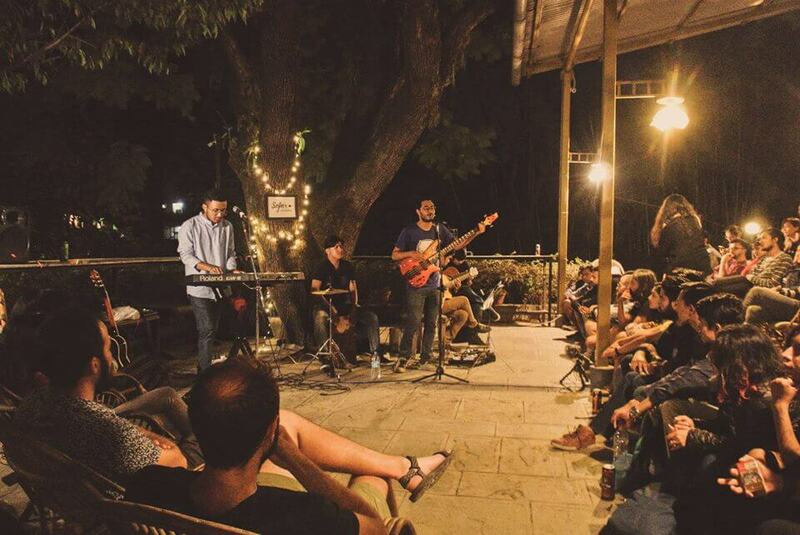 Meanwhile, Jazzmandu infuses new styles and trends every year into the local jazz scene. It does not just bring in outside musicians, but also showcases Nepal’s best jazz so that it is a two-way exchange. Four Nepali bands will be performing this year: Cadenza which also organises the festival, Abhishek and Maria who teach and perform jazz in Nepal, Project Sarangi that aims to revive traditional Nepali music, and Rabin Lal Shrestha duo for a dash of melodious Eastern Classical. The essence of jazz: “Jazz is freedom, a musical adventure without boundaries. There are many incredible artists creating new ways to present musical ideas in current times. There is a great variety of experimental music, and we appreciate and learn from everything we hear. 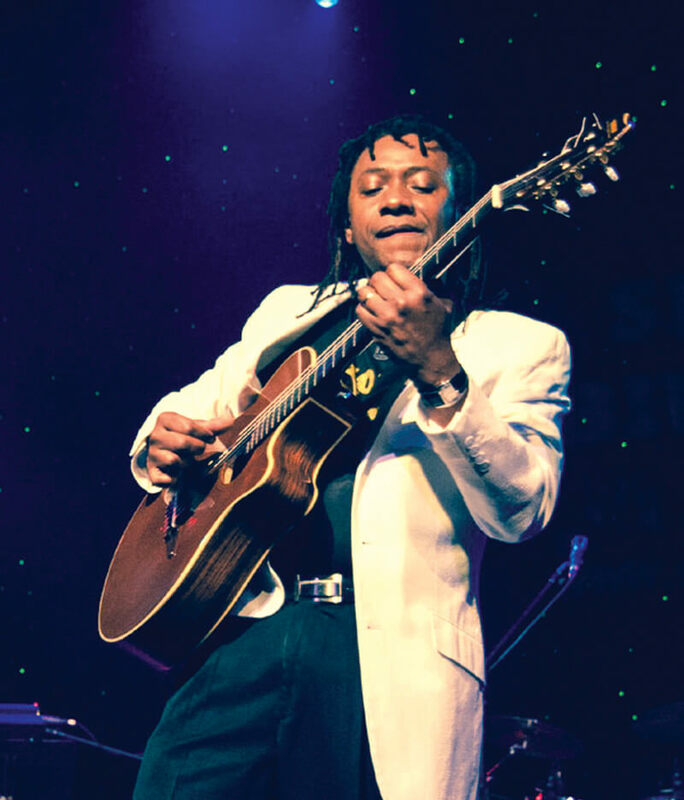 Mendonca’s originals are a blend of Brazilian rhythms, but he also plays Brazilian standard tunes, and music from other parts of the world with a Brazilian twang. He hopes to increase his affection and respect for Nepali culture, and to recharge his soul with love and gratitude. DACH members come from diverse backgrounds: Western Classical, Jazz, Austrian & Ukrainian Folk, Balkan, Indian Classical Music. Their jazz is nourished by European roots. They like to never perform a music the same way twice. They hope to make people smile, cry, and bang their heads to music. 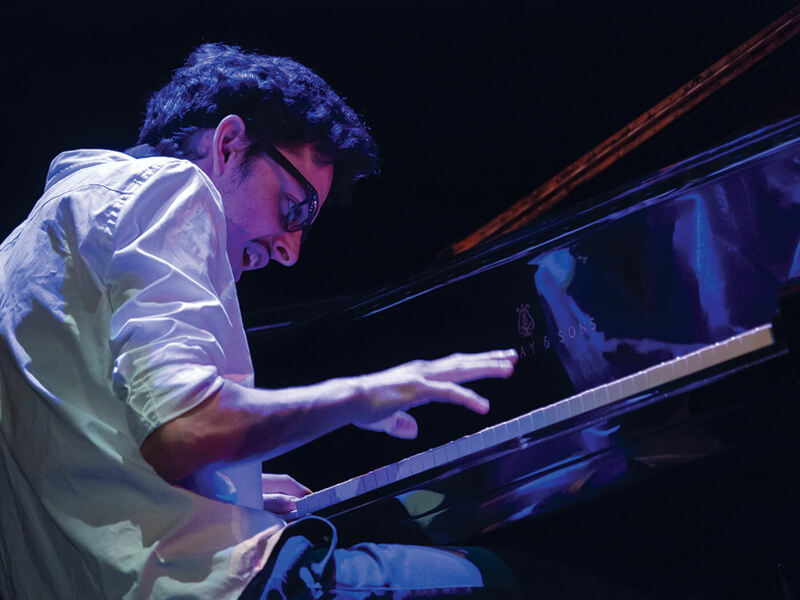 Adrien Brandeis started his musical career in 2010 and created his quintet in 2015 revelling in various influences like Cuban, Brazilian, Caribbean, and African music. It is the band’s first time in Nepal, and the members are excited to discover a new culture and incorporate new elements in their playing. Groove gang plays a mixture of Jazz, Funk, Soul and World Music. For its members, jazz has many faces which can reach out to people who do not care about stylistic definitions. They look forward to seeing different angles of life in Nepal, and to give lots of love and music for their heart. Veteran classical musician Rabin Lal Shrestha will be playing the tabla, and will be joined by Jeevan Ale on the flute. 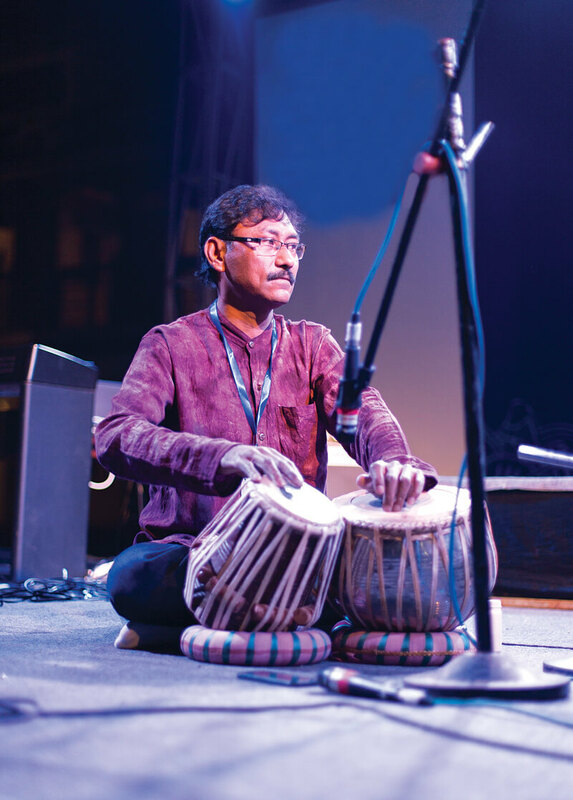 Shrestha has been a constant feature of Jazzmandu since its inception, and this time, a couple of other classical musicians are joining him as well. 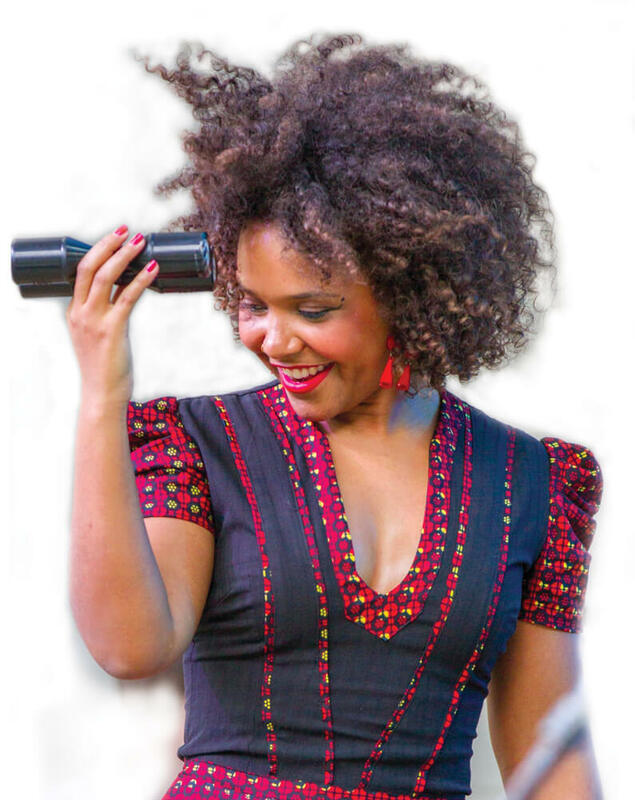 Cynthia Abraham will be playing with Matthias Pascaud. They both play jazz along with other music like soul, rock, electro, etc. They are attracted to jazz’s freedom, and its common repertoire that allows you to play with anyone that speaks the same language. 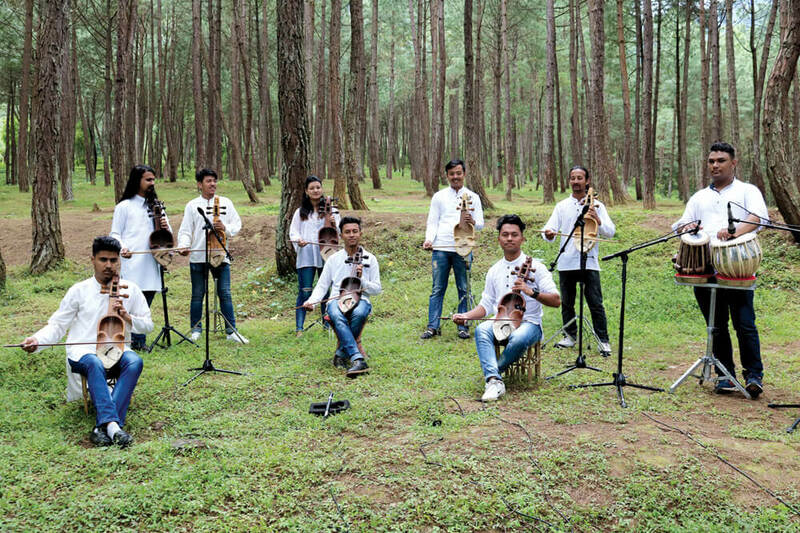 Project Sarangi is on a mission to revive traditional Nepali instruments by giving classes on traditional instruments and experimenting with these instruments in their compositions. 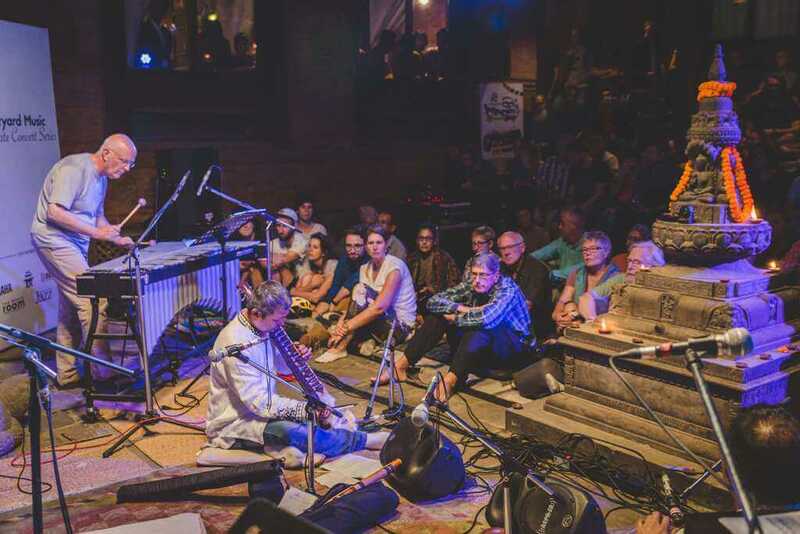 Ten musicians with sarangis will perform a fusion of western and eastern music at Jazzmandu. 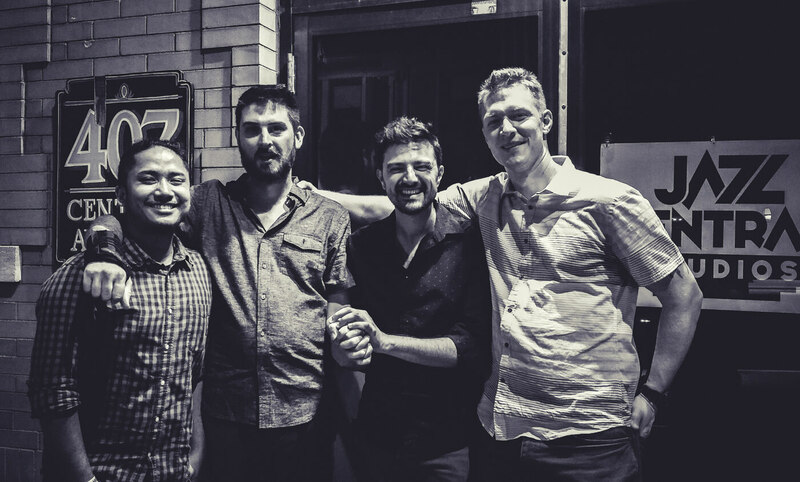 The band that started Jazzmandu brought world class jazz to Nepal, while helping elevate a new generation of jazz musicians to world standards. The band recently released its sixth album Back to the Roots, representing how far jazz has come in Nepal. 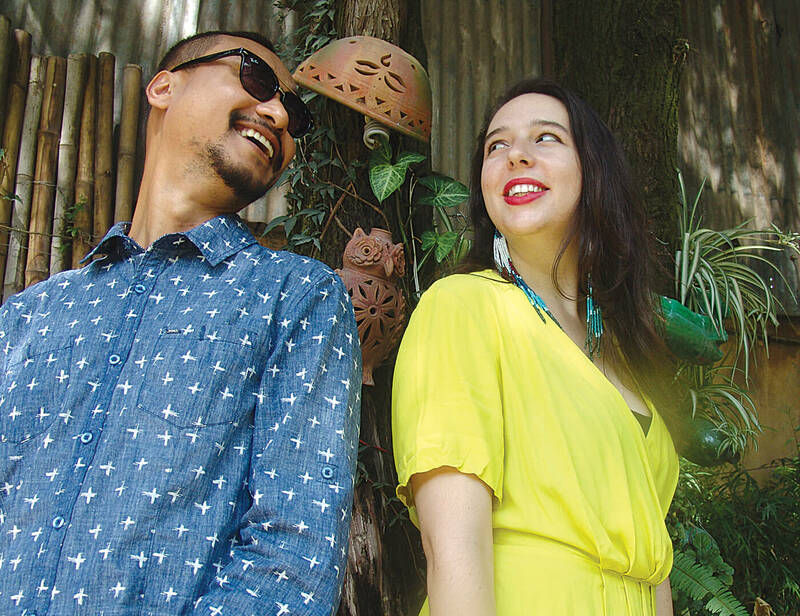 Abhishek Bhadra and Maria Sajardo teach at the Kathmandu Jazz Conservatory. Jazz for them is not just a genre, but an entire language with its own vast academic and intellectual history that you can apply anywhere. They will be playing original compositions at Jazzmandu. Jazzmandu kicks off with a free concert playing great music for young minds. The Concert for School Students continues Jazzmandu’s long tradition of promoting music education and cross-cultural understanding. Interested schools and individual students can request invitations by writing to [email protected] Seating is limited. Gates open at 11.30 am, please be seated by 11.50 am. Cadenza Collective gather new and old friends for an explosive jam at the heart of Jazz in Nepal, Jazz Upstairs. Gates open at 6 pm. A ticket does not guarantee a seat. Gates open at 6 pm and close at 7 pm. Seating is limited. Get away from the hustle and bustle of Kathmandu and be surrounded by the lush, serene Gokarna Forest Resort to enjoy a marathon of jazz and traditional Nepali folk and classical music. Gates open at 1.30 pm and close at 7 pm. Seating is limited. A ticket does not guarantee a seat. No outside food or beverages allowed. No pets allowed. 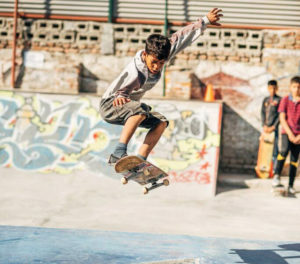 Free shuttle buses to Gokarna will depart every hour from 1 pm to 4 pm from outside Hotel Marco Polo in Kamal Pokhari, and will stop for pick-ups outside the Hyatt Regency gate in Boudha. Return shuttles will be available between 10 pm and 11 pm, with drop-offs at Boudha and Kamal Pokhari. Seats are limited. Anyone arriving by bicycle will receive a 25% discount on a ticket. Experience the vibrant sounds of Brazilian rhythms and Latin jazz in the relaxed ambience of the Yala Maya courtyard. Gates open at 6 pm and close at 8 pm. Seating is limited. The Jazzmandu master classes are an opportunity for music students & jazz enthusiasts to interact with visiting musicians, share their experience and stories and learn techniques and tips on various instruments and vocals. Seating is limited and not guaranteed. An evening of Nepali classical music fused with Jazz in a rich and soulful ambience. International musicians share their musical ideas and energies with Nepal’s top classical musicians and Cadenza Collective. Gates open at 5.30 pm and close at 7pm. Please be seated by 5.45 pm. Seating is limited. A ticket does not guarantee a seat. The Finale BIG JAM when musicians from different bands come together on one stage to light up the festivities creating a high-energy, improvised musical treat. Gates open at 4.30 pm and close at 8pm. Seating is limited.